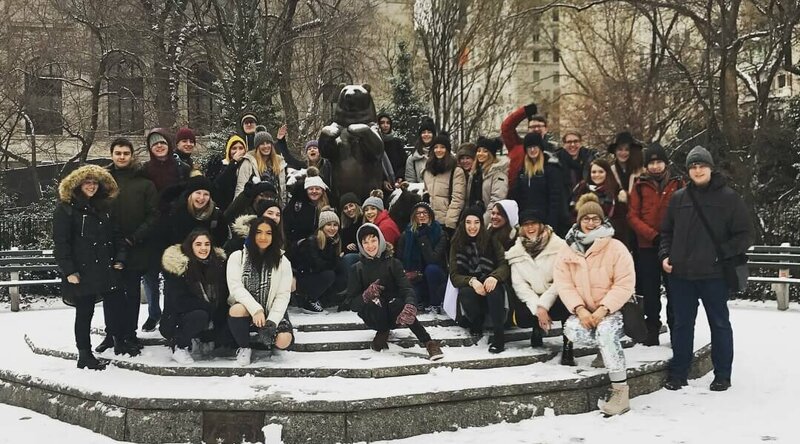 Students across Media, Music and Performance (MMP) and Art, Design and Fashion courses recently visited New York as part of their creative studies. The 35 students were taken on a whirlwind sightseeing tour, viewing many cultural sites including, Ground Zero, the Statue of Liberty, the Empire State Building, the Museum of Natural History, the Met and the New York Times building. The trip runs every year for the students to allow students to experience different cultures, visit iconic locations and give them the opportunity to gather information and materials that will help with their College projects. Along their adventures the students were set mini tasks to enable them to interact with the city and the people of New York. These tasks saw the students walk the High Line, interview locals, collect well designed packaging and promotional materials and fabrics from haberdashery stores. Everything collected will be used within the students’ College work. 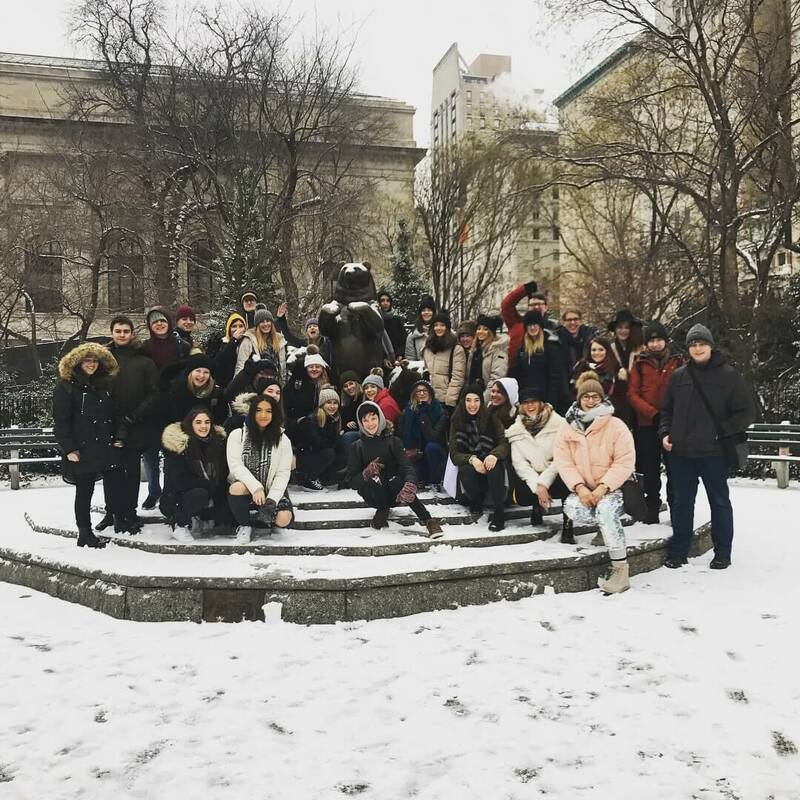 A winter trip to New York wouldn’t be complete without a chance to ice skate in Central Park, one of the exceptional experiences the students were able to have on their travels. Along with watching Jimmy Fallen film live outside the Rockefeller Centre, seeing Fox News film along Wall Street, watching the Giants, seeing the Knicks play at Madison Square Garden and experiencing fantastic performances on Broadway.